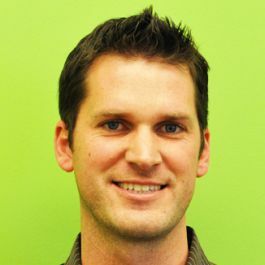 Kevin Menzie, CEO of Slice of Lime, has been leading the strategy and customer relationships for the user experience design agency for years. According to Menzie, client empathy is the most important part of building the relationship. Here is his take on the number one dynamic that makes or breaks the design of a product. In the User Experience world, there's a lot of talk about "empathy." This typically relates to putting yourself in the shoes of the end user to better understand their experience with your product. There are various tools in our UX toolbox to gain better empathy for the end user and to ensure that the experience we're creating is doing its best to satisfy both the user's needs as well as our client's business objectives. The work we do at Slice of Lime is iterative. While there is a high-level idea of what the product we're working on is, there is also an understanding between us and the client that the direction of the project may shift based on research, user validation, competitors, and new ideas that come up along the way. This brings up an interesting vendor / client dynamic. While our clients generally embrace the value of iterating through the creation of their web app or mobile app, the nature of iteration brings with it a sense of uncertaintly. This can be unformfortable for a client. After all, they are paying good money to hopefully get something that is relatively close to their initial vision within a certain amount of time. I'd therefore like to stress the importance of client empathy. If you run a service business, you undoubtedly have various clients that your interacting with on a daily basis. To some of those clients, the work you're doing may be pretty foreign to them. If you practice agile methodologies, the iterative nature of your work adds even more uncertainty to what's going to transpire over the course of your engagement. Get the client involved: One great way to not have our UX Design work seem like it's being done in a magical black box is to involve our clients in our process. This might be doing design studios with them or having them join us for user validation sessions. Involving our clients first hand in the work we're doing gives them clarity on what's happening and, perhaps more importantly, the value of what's happening. Retrospective meetings: We hold regular meetings to "check in" on how the project is going. This includes all the people involved in the project and runs through what's working, what feels uncertain, and what's not working. It's a safe environment for everyone (including us) to voice positive and negative feelings. Action items are created to course correct anything that is off track. Schedules: Even though a project is in a constant state of flux, we try our best to create high-level schedules for our clients. This keeps them aware of the roadmap and also gets everyone on board if there are changes to the scope that may impact the schedule. Tools like Pivotal Tracker are another great way of visualizing what can be accomlished in the time that's available - client's can literally see how the schedule is impacted by adding to the scope. Change Logs: We keep weekly change logs on what we've updated and what new feedback was collected by the client. This is reviewed at every meeting to show the progress that was made and what's going to happen next. Collaboration: Being inclusive of not only the client but also other parties involved such as back-end development agencies, PR firms, internal designers, and copywriters is only going to help make everyone feel comfortable. Our feeling is that everyone has something to offer the process, even if they are not an experienced UX Designer. Collaboration with all stakeholders turns us into less of a vendor and more of a part of the team. I'd encourage you to think of other ways to sympathize with your clients. Creating a safe environment for your client with a clear plan for where the project is heading is just as important as the final product you're all working towards.